April 2011 – Hurley Books – How do you do? The joy of a digital world is that you can mess around with your image for a couple of hours and it costs you nothing. In a British frame of mind today so I’m waving the flag today. Tried black but prefer white. I have no doubt that come the Olympics one of these will turn up again! Bibliotherapy – therapy for the stiff upper lipped sort. Reading back on last week’s column I’ve noticed that I might have come across as a bit odd doing my homework in graveyards and reading in cathedrals. The thing is I love those big quiet spaces. Maybe it shouldn’t have been such a shock to my friends and family that I became a Librarian because whilst I might be a noisy thing most of the time once I have a book in my hands I want to get lost in that book. In the past when I had the luxury of reading for days I could get well and truly into a book and would often end up talking like the characters. That would be acceptable when it was Austen although one might opine that it was a trifle formal but daft when reading Arthurian fiction verily forsooth! Some days I would emerge from a book bleary eyed and at odds with the reality around me, other times I would dream about the characters, drive along thinking of solutions or catch myself crying over something that wasn’t real. The power of a story is nothing new, in fact it’s as old as it gets but now that power has been given a name – bibliotherapy. Coined in the States by our cousins who do love their therapies, bibliotherapy is based on the curative powers of the right book. I’m a bit of a stiff upper lip sort of girl (when I’m not blubbing over soppy bits in books) but even I can see that this new therapy has a point. Well as I said it’s not new is it? Just that it’s been formally acknowledged and given a name. The idea is that the right book can help unlock all sorts of internal problems. Sometimes it can help get your own situation in perspective; reading about the atrocities in Rwanda makes your concerns about credit card debts more manageable. That’s not to say that your concerns are not relevant it simply helps you see them in a different light and once you can do that you can start to deal with them. It’s very easy when you hit a huge problem to believe that it’s an insurmountable wall, even worse when it seems like that wall is falling down on top of you. Other areas books can help is where the share a similar theme to the one you are dealing with, if you are supporting someone who is dying then it’s easy again to feel isolated, reading about someone who has gone through the same process can help people especially with what’s to come. The unknown is pretty terrifying for all of us and it’s nice to have someone hold your hand in the privacy of your own mind. My favourite kind of therapy is the one of escapism. When the children were babies and I seemed to have become stuck in some sort of biological nightmare and daytime TV, the stories that took me away from it all were the best. Who cared what Tinky Winky was doing when my spaceship was about to crash into an alien colony? Rather than watch some ninny tell me that a pile of old tat might make £80 at auction I could ponder the wonders of the Fibonacci sequence and when it seemed like Cornwall may never have sunshine again I was sunning myself on the Argentine Plains watching Polo ponies race up and down. I’d always find that when I put the book down the world seemed a calmer place. True, the mess, the chaos, the worries were all exactly where I had left them but suddenly they weren’t the wall they had seemed and I was able to hop over them. If you’ve ever read a book that has really helped you out of a jam or have a book that you always turn to when things get hairy I’d love to hear about it. enquiries@hurleybooks.co.uk or Hurley Books or Facebook. 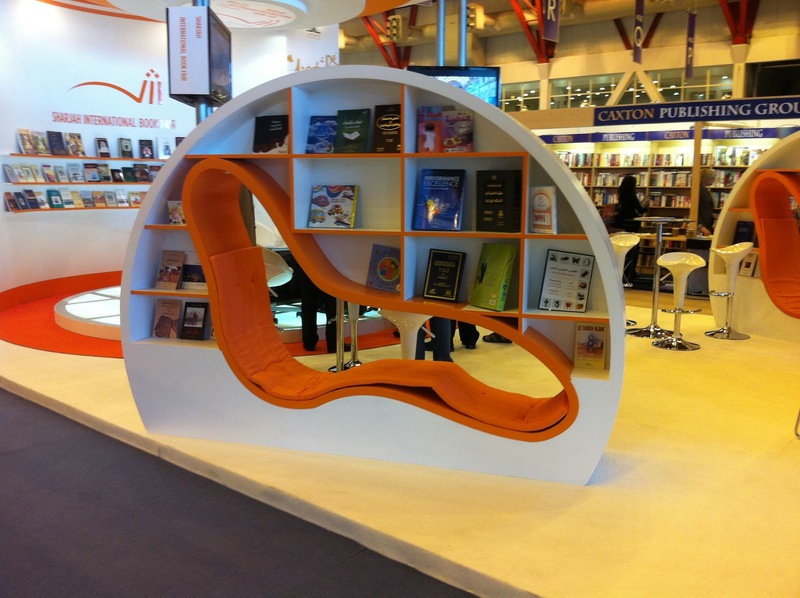 London Book Fair, pickled brains and hidden corners. This has been a really frantic week for us as we went up to the London Book Fair. This fair is the most important event in the publishers calendar and gives the world a chance to buy and sell rights for new titles, announce new authors, launch new products and generally get together and put the world to rights (or not, depending on how gloomy looking forward makes you – and to be fair booksellers do tend to be a backward looking lot). We figured that the best way to prepare for 4 days in London would be to spend the Sunday on the beach and catching as many waves as we could. With our salt glands fully loaded we caught the sleeper and woke up to noise, dirt and heat. The Book Fair was fascinating and it was great to get a glimpse at the new releases, meet some authors and listen to the industry warnings about e-books. Boy, were there a lot of warnings and it’s probably fair to say, looking at the American trend, that within 5 years maybe 50% of fiction sales will be downloads rather than hard copy books. A truly alarming figure for those running bookshops but rather than harping back to the good old days (whenever they were) I think those that will weather the change will be those businesses that find a niche or a new angle and to be honest ‘twas ever thus! As much as I enjoyed the Fair I enjoyed exploring areas of London that I didn’t know more. I’ve never lived in London so have never really had time to explore but this time we got some chances to escape. 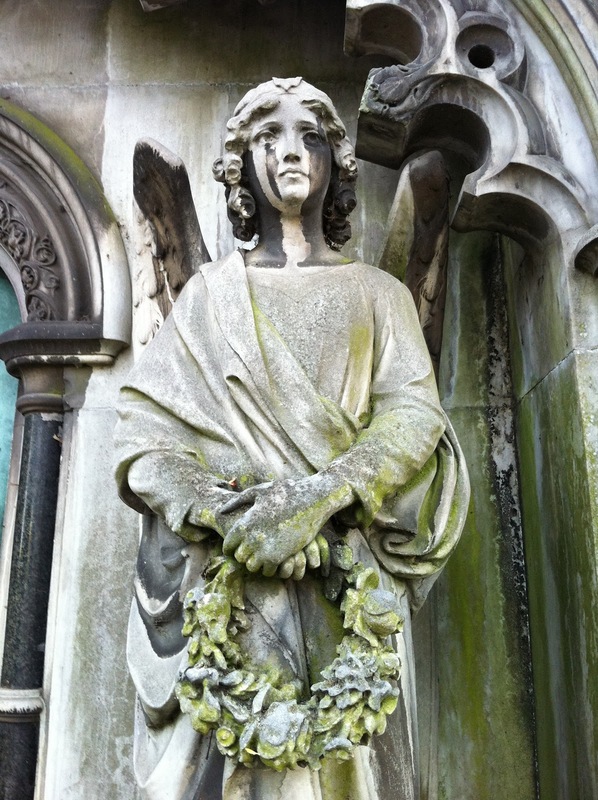 My first treasure was Brompton Cemetery, it was a beautiful place and whilst nowhere in London is really quiet it was very calm, full of tame ravens and squirrels, Victorian statues, crypts and overgrown tombstones. I used to love doing my revision in Norwich graveyard and found that this cemetery provided the same calming influence. I then went on to explore the Inns of the Court of London, another oasis of peace and calm, beautiful gardens and stunning architecture laid out in academic quadrants connected by little alleys and hidden between the Thames, Fleet Street and the City of London proper. It was lovely to sit under a magnolia tree not yet in bloom watching a barrister dash past in wig and gown listening to a fountain behind me. It doesn’t beat Cornwall but it does beat being stuck in Starbucks at Piccadilly Circus. I also discovered two mad museums both fronting onto Lincoln’s Inn Fields. The John Soane’s Museum is the home of a Victorian collector who filled his house with all and everything that he found on his travels. The place is full of pediments, Doric columns, Egyptian burial chambers, writing tables, vases, paintings and so on. It’s a full to the brim hotch potch of stuff. Almost directly opposite across the field is the Hunterian Museum at the Royal College of Surgeons. Again full to the brim of oddities but what oddities! The place is full of skeletons and pickling jars of human and animal bits and pieces. Many of the times the things I was looking at were mesmerising and beautiful and then I would look to the next item and recoil as I found myself eyeballing a rabbit foetus. There really were some truly bizarre exhibits, human skulls showing defects, or nervous systems removed and mapped out out wooden boards. Eventually I escaped into the Library, a place of leather armchairs and leather binding with the hushed, hallowed silence of a room that was not concerned for it’s future knowing that its role was forever secured. Maybe, I too am someone who loves to look backwards. The Easter holidays signal an end to mud and a hello to sand. So that’s the spring term over. It’s always funny in the car park on the last day of term when the school secretary wishes me a good holiday. Holiday! With the children home, a business to run and the season underway? Her grin always seems to be bordering on the evil side as she drives away to 3 weeks without the constant clamour of a hundred little voices. It’s fair to say though that my grin is equally evil at the start of term when I drop the children off and get back to my work or “my holiday” as I like to think of term time. With the onset of Easter it also means that the Rugby season is finally coming to an end. This was the boys first season as I had stuck my heels in for years. My children were far too precious to come home looking like Gordian knots, broken and bleeding and covered in mud. Mostly everyone looked on at me in amazement, what precious children? Those two boys that spent most of their lives throwing themselves off piers, climbing up trees, fighting each other at the drop of a hat and competing about anything and generally covered in blood, bruises and mud. Were those the two precious angels that mummy wanted to protect? Well, there’s nowt so blind as a mother’s love and I finally relented to years of pressure and let them go. My mistake? Not to have let them go sooner! They have had a fabulous time, made new friends and have learnt great discipline and team skills. They have two wonderful coaches Paul and Richard amongst others that helped them settle in, played to their strengths and worked on their weaknesses. At the beginning my eldest was a bit concerned about the mauls (well who could blame him) and would run forward and then as he got to about a meter of the maul he would hit an invisible force field that seemed to repel him. He would bounce around on the edges, hopping forward, jumping back every time the throng of arms and legs seemed to get too close. Obviously working on a kill or cure ethos Richard made him a second row and now he’s there in the thick of it. 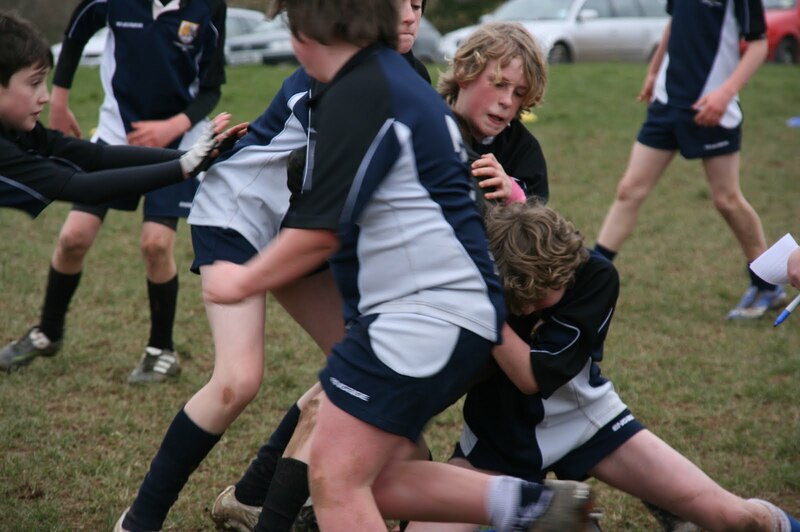 Lankelly Fowey is a great little club and always has room for more children, they train on Saturday mornings and play matches on Sunday mornings and have a lovely attitude toward rugby. Of course I won’t get my weekend back because as soon as the rugby ends the windsurfing and sailing start up. 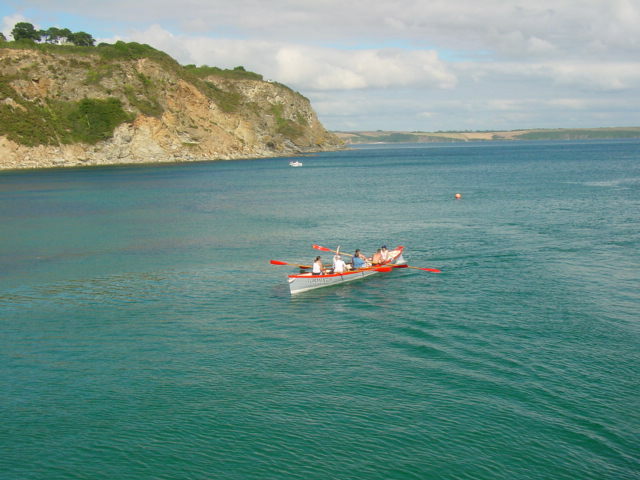 We do this over at Polkerris, who have really set up a great water sports school in a very short space of time. Bob and Ann have performed miracles over the last three years and have even won awards for their efforts. Again, here are more people that love what they do and really want to pass on their enthusiasm to anyone that will listen. If there’s a point to this rambling column I suppose it’s twofold; the first is that there are always things for kids to do, scouts and guides, team sports, par athletics track, sailing and so on. The second is that these things are available because there are people out there that give up their time just to help, support and encourage. Some do it because it’s their business, others because it’s their job and others because it’s their passion. So thanks to all of you; not just because it’s brilliant to have my children taken off my hands (although that’s fairly major) but also because you’re helping to give my children and other children, a great childhood. Well after a month of sunshine the rain has started which can only mean one thing, the Easter holidays are upon us. Whilst I’m sorry the rain has arrived I’m very glad that the holidays are here because it means that the season is back underway and here in Mevagissey it couldn’t come soon enough. Following the floods last December trade has been pretty dire. So many shops had to be gutted out that the place looked like a ghost town, people stayed away and when they returned there were closed shops all over the place and they left again. Understandable of course but for those of us who hadn’t closed it’s been grim, actually it’s been grim for all of us but now that’s all behind us. Like the daffodils happily waving in the breeze and the birds singing their hearts out, spring is here and Mevagissey is up and running. In fact, as they say, it’s an ill wind that blows no good. It’s as though Meva has had a massive spring clean. Some businesses have changed hands, some have moved premises others decided that that was enough and they’ve closed making way for new ventures. Brocante has expanded into the Holistic Mermaid so now there’s even more gorgeous things to drool over. The Holistic Mermaid has moved into one of the empty galleries and will now be offering l5 minute holistic pick me ups in their treatment room. Expansion is clearly in the air because Portmellon Trading are opening up in Jason’s old place. It’s going to be called Issey, after our saint and will stock a line called Braintree – sort of like Seasalt. So now that’s four great clothes shops we have in the village. Curio Corner and Avellana look fabulous following their refit and we’re spoilt for choice for a good place to sit down and have a coffee now that Market Square Cafe have re-opened to join Cofro, Bon Appetit and others offering great drinks and snacks. If you want something more substantial, Salamanda’s and Alvorada’s continue to receive great reviews for their evening menus. Of course Mevagissey is more than great shops and pubs, we have a fabulous museum and aquarium and the Mevagissey Model Railway celebrates its 40th birthday this year. Our harbour continues to thrive, nothing stops those fishermen, although our blackboard puzzles outside Hurley Books does make them pause for a second, then they work it out and wander off laughing at us for making them too easy, or cursing us for making them too tricky. I know most of us arrive in Mevagissey by car but the walk from Portmellon or Pentewan along the coast path is wonderful, admittedly it is a bit up and down but at least it helps burn off the ice creams! Another great way to approach Meva is down the valley from Heligan, wandering down through the woods and fields is so relaxing, with only birdsong and streams to listen to and bluebells to look at. Well, I imagine it can be like that I normally have two noisy boys and one destructive dog but I like to think that serenity could be achieved on this walk. Probably the best way to arrive in Mevagissey is the one that avoids all hills and that’s by sea. I am aware that some people don’t have their own private yachts but that’s OK you can always use the Mevagissey – Fowey Ferry and try to spot basking sharks and dolphins joining you on your crossing. However you do decide to come Mevagissey I hope that when you get here you like all the changes and make the most of the village whilst we all still relatively quiet before the summer rush. See you soon. I was grumbling last week about poor customer service so I’d like to right the balance and talk about good customer service this week. It only seems fair and I’d like to start with the same company that caused me all the grief in the first place. I’m still not going to name them because I don’t want to draw attention to the initial issue but they must have recognised themselves because on Saturday morning there was a knock on the door. I wasn’t home, (will the rugby season ever end?) but Steve answered it to the owner of the company. Not a man that either of us had spoken to when trying to sort out the bill. He had seen the article, realised we were talking about his company and was horrified at the charging policy. He came with an apology, a cheque and a lovely attitude. At no point did he ask for a retraction or for me to write something about the refund. The refund was not for the full amount but for the excess which seemed right and proper, I had no objection to paying something for the service and as he said, for such a small job so close to home you use your commonsense and charge accordingly. When I got home Steve told me about what had happened and I was thrilled. Not about the money and not about the apology but about the fact that there’s a really nice bloke out there that cares about his business and cares about his customers and that he’s prepared to take responsibility for when things go wrong in his name. I didn’t write the article to get my money back, that’s not what I’m about and so I’m going to give the money to the RNLI, as I’ve mentioned in the past my sister is RNLI crew so it’s close to home and of course me and my family seem to spend half our lives in the water so it makes sense. Good customer service always hits the right spot. Sometimes it’s about going the extra mile, popping in to a customer’s house after work to drop off the umbrella they left behind. Sometimes it means taking a financial hit; it might not be your fault that Royal Mail lost your consignment but it’s not your customer’s either, so refund them straightaway and then undertake the claim on their behalf. Other times it’s just thinking about what your customer might appreciate; providing wellies when they stay at your cottage or presenting them with a birthday cake at the end of their meal. Recently on Facebook Finisterre, a local outdoor clothing company, asked for dogs to join their “wolf pack” it was a silly thing but lots of us had fun posting up photos of our dogs. The next thing I knew they’d sent Harry a dog biscuit in the post. A small thing but what a clever thing to do. I was pleased at such a friendly gesture and they now have my mailing details and someone who is well disposed towards them. Even when times are tough we take more than just the price into account when we shop. A smile costs nothing and can be the difference between a repeat sale and a lost customer. So now I’m going to have to practice what I preach and starts getting my grins ready for the hundredth person who tells me someone needs to tarmac over the cobbles in Mevagissey.